Why Choose an Enclosed Track Conveyor? Think you don’t need an enclosed track? Think again! In recent years, industries has been shifting from traditional I-Beam overhead conveyors to enclosed track conveyor designs. An enclosed track overhead conveyor consists of a chain running within a round track, such as our PAC-LINE™ overhead conveyor. 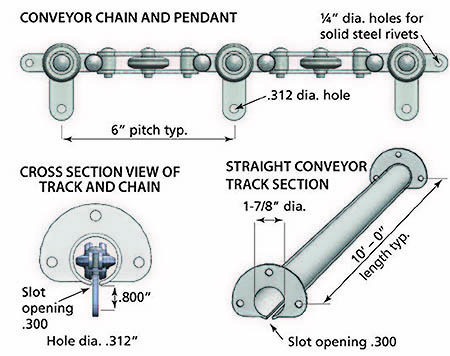 Loads are suspended from the chain pendants that stick out of the slot of the track. Some enclosed track conveyor styles such as our PAC-MAX™ can also be inverted. An advantage of the enclosed track design is to prevent contamination of the conveyor chain. The enclosed track protects the chain against build-up and residue that could ultimately cause damage. 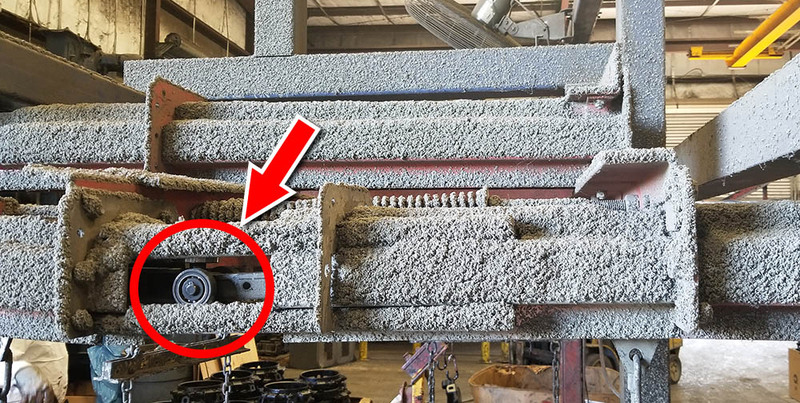 For example, you can see in the image below of our enclosed track conveyor used in a heavy duty powder coating system. This is extremely important to maintaining the life span of an overhead conveyor system. 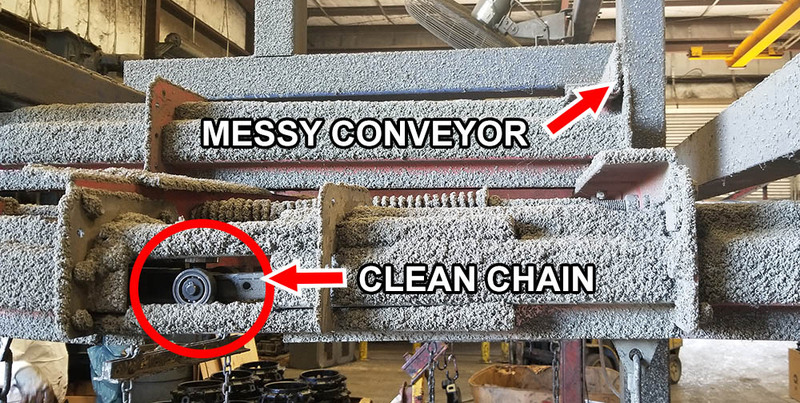 Imagine the image below was an I-Beam style conveyor with exposed chain and track, the difference would be easy to see! While there are still some applications such as carrying very heavy loads that would benefit using an I-Beam style conveyor, the advantages an enclosed track can offer are superior. Particularly in the paint and finishing industry where product and chain contamination are a great concern.